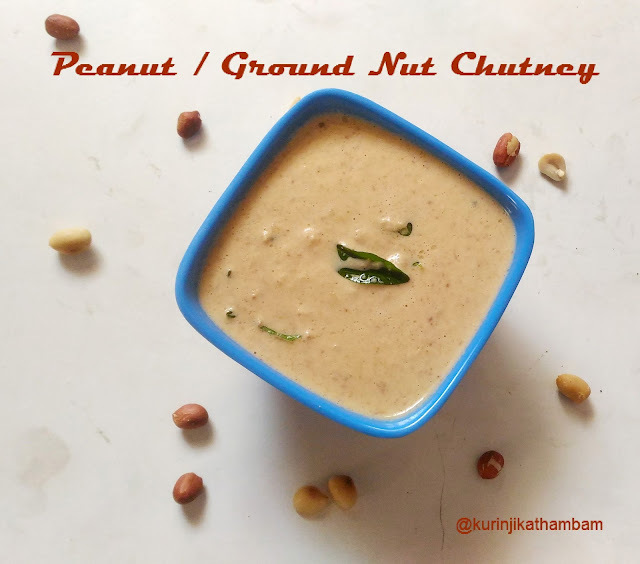 I have already posted ground nut chutney. That chutney used coconut as an ingredient. 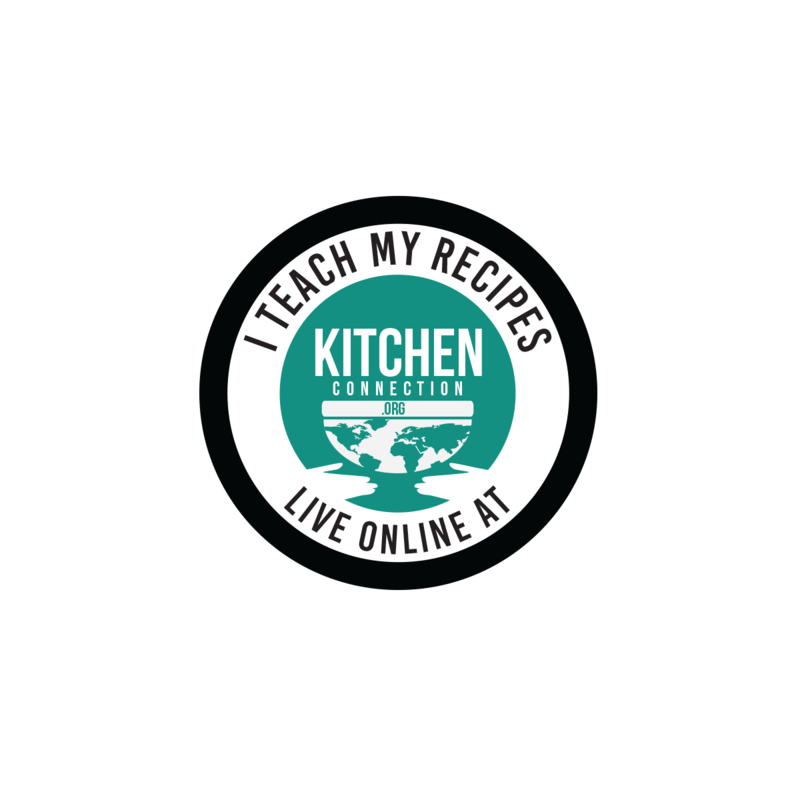 In this recipe, I am preparing the chutney without coconut. The benefit is different taste and more easy to prepare. This variant is famous in my village side as well. Click here to view 30+ chutney recipes. 1. Heat the oil in a pan. Add chopped onion and sauté till they become translucent. 2. Then add red chillies, garlic pods and salt. Sauté for few seconds. 3. Now add the chopped tomato and fry till they become mushy. Allow it to cool down completely. 4. Grind this above mixture with ground nut, jaggery and tamarind into find paste using little water. 5. Transfer the ground mixture into the serving bowl. 6. Heat 1 tsp of oil in a pan, add mustard seeds and wait for popping. Then add curry leaves and fry till they become crisp. 7. Mix this temper with ground chutney. 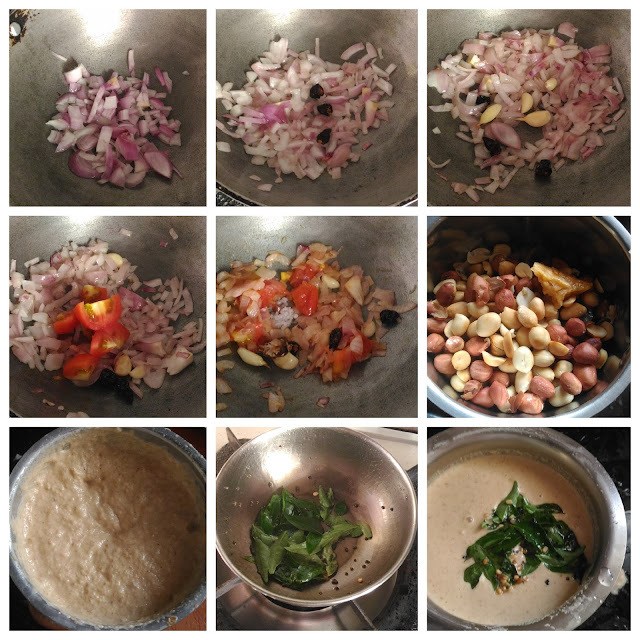 Yummy and tasty ground nut chutney without coconut is ready to serve. 1. Sambar onion gives more flavor and taste than big onion. 2. Adjust the chilli level according to your taste.